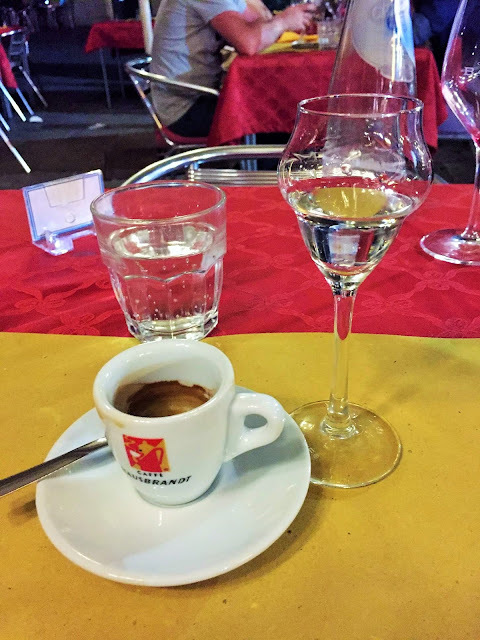 The Gondola Blog: Caffe "Correcto"
Compliments of our "man on the street" Andrew McHardy - here's a fresh photo from a table somewhere in Venezia. You know how I love my grappa. I hope you get a good seat for Regata Storica on Sunday.